This town in Bishnupur District of Moirang has a special place in the history of India’s Freedom Struggle. It was at Moirang that the flag of the Indian National Army was first unfurled on April 14, 1944. 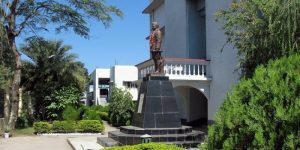 The INA Museum which has a collection of letters, photographs, badges of ranks and other war memorabilia reminds the visitors of the noble sacrifices made by the INA soldiers under the charismatic leadership of Netaji Subhas Chandra Bose. It is a hillock about 17 Kms south of Imphal City on Tiddim Road (NH-150). A fierce battle was fought at the site between the Allied Forcews and the Japanese Forces during World War II. 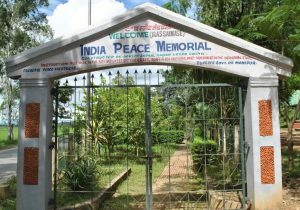 Japanese war veterans constructed a monument at the foot of this hill and it is significantly named “India Peace Memorial” . It is a place of pilgrimage for Japanese tourists. 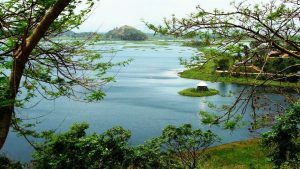 Sendra Island is one of the most beautiful attraction of the state which is located at Loktak lake of Bishnupur District. It is about 50Km away from Imphal. It is a favourite tourist spot in Bishnupur District lying at the outskirts of the District Headquarters. 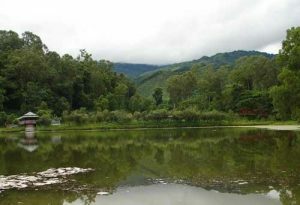 Loukoipat is an Eco-Park with a small but beautiful lake surrounded on all sides by green foliage-rich hillocks. Tourists can go for boating in the lake. An inspection Banglow with cool greenery at the top of an adjacent hillock overlooking the lake awaits visitors on the look-out for a night’s stay.